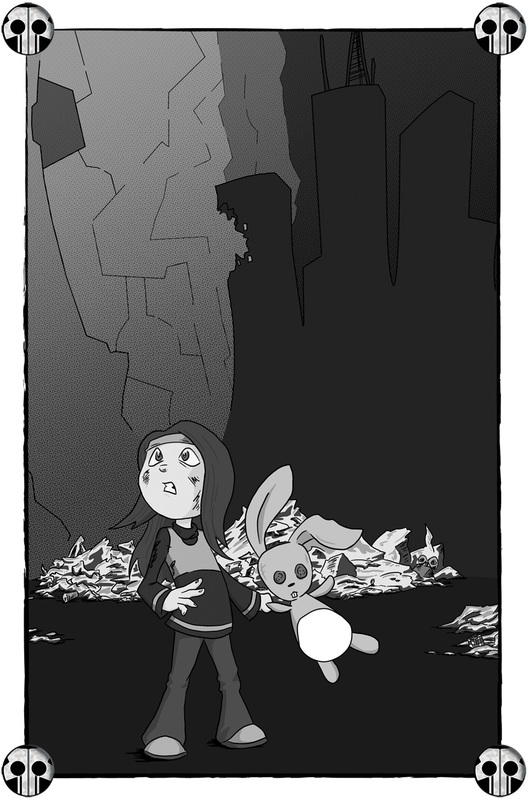 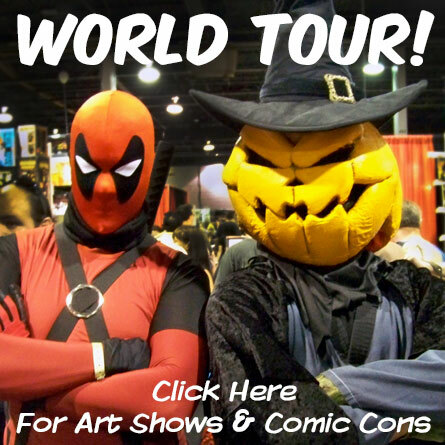 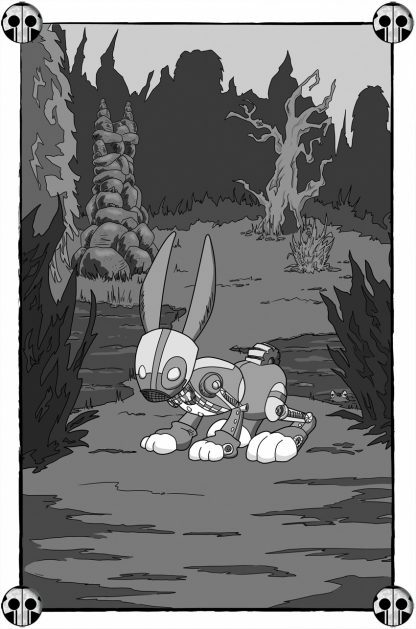 A post-apocalyptic Alice in Wonderland style story… with robots! 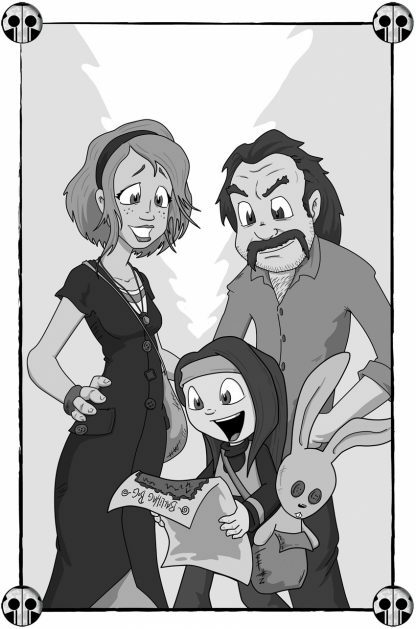 Before her journey to the world of Darksmith Manor, Sunshine Saliente had plenty of adventures with her stuffed rabbit, Bunny. 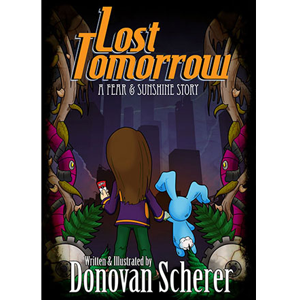 Lost Tomorrow brings our dear little heiress of madness to a post-apocalyptic wonderland where the few survivors will do anything to make sure she has the best time of her life, whether she wants to or not. 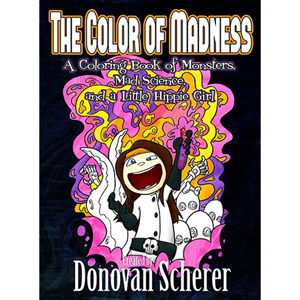 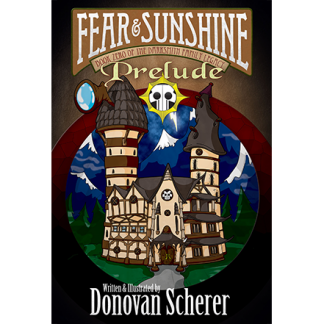 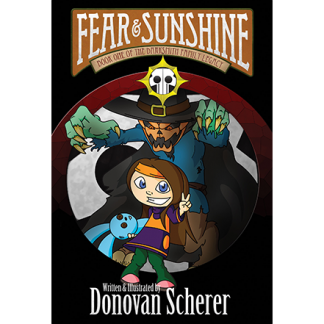 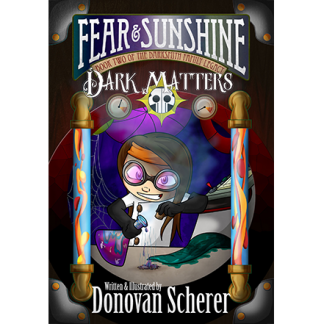 This middle-grade illustrated novel takes place a little while before Fear & Sunshine: Book One of the Darksmith Family Legacy and while you can read it on its own, it will definitely drive you mad wondering just how deep the rabbit hole goes.